One of the great accessibility features of macOS and Mac OS X is Dictation. Dictation on the Mac allows users to convert spoken words into text or interact with a computer by literally speaking to it. And for macOS users, just ask Siri to “turn on Dictation” for you. 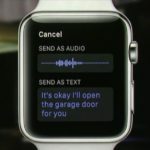 Remember that Siri isn’t the same as Dictation, but Siri does compose short messages, such as email and text messages for you. Lately, though, several readers report problems with Dictation and Enhanced Dictation. Sometimes users can’t enable dictation and discover that all of the sudden it’s grayed out. Many of these problems occur shortly after an OS update, often leaving this valuable feature working improperly or not even working at all. 3.1 Enhanced Dictation Not Working? Try turning dictation off then turning it back on. This action often solves the problem. And it’s an easy fix. If that doesn’t work, try turning off dictation and restarting your system. Then go back and turn on dictation. Setting dictation off and on without restarting sometimes doesn’t fix the problem, but rebooting between off and on often solves the issue. 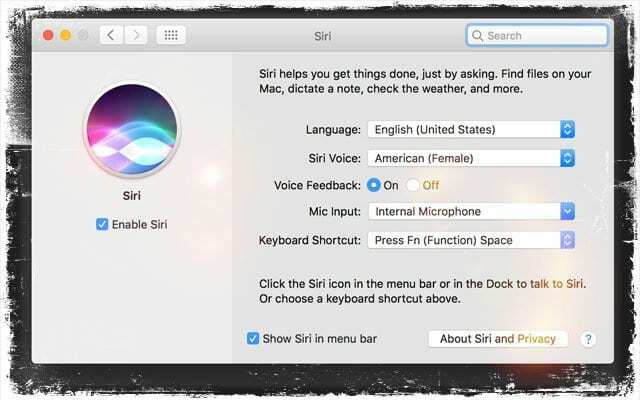 Go to System Preferences > Keyboard OR Dictation & Speech >Dictation. On the left side, under the microphone icon, select Internal Microphone instead of Automatic. For many users, this was the fix that worked, either with or without Enhanced Dictation. 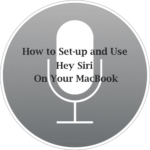 Then restart your Mac, turn off Dictation (Apple > System Preferences > Keyboard OR Dictation & Speech > Dictation) and reboot your Mac a second time and try again. Deleting your speech recognition user library cache folder at ~/Library/Caches/com.apple.SpeechRecognitionCore . Follow steps from the bullet point about using “Go to Folder” function in the Go finder menu. Download another language. Readers say that when they downloaded another language pack, it installed and reset their native language pack too. Try disabling your antivirus software if you have one installed. Regular dictation (not enhanced) is often blocked by your antivirus software when the data comes back into the program from Apple Servers over the internet. Open the Sound control panel. Make sure the Internal Microphone is selected. Set the input volume to a level higher than the middle. Try turning on the ambient noise reduction setting. If your Mac isn’t using the built-in microphone, check with the microphone manufacturer’s support site on how to troubleshooting your particular microphone. Open your home folder (/Users/yourusername) in the Finder. 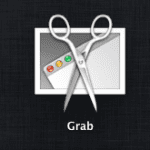 Depending on your Finder settings, open a new Finder window. Or choose Home from the Finder’s Go menu (Go > Home); or press Shift-Command-H. 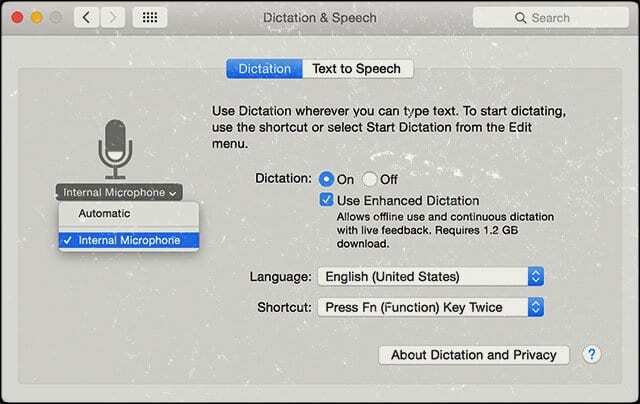 Enhanced Dictation is available in macOS and OS X Mavericks v10.9 or later. Without Enhanced Dictation, your spoken words and certain other data are sent to Apple Servers and then converted into text. Hence, when using regular (not enhanced) dictation, your Mac must be connected to the Internet, your words might not convert to text as quickly, and limit your speaking to no more than 40 seconds at a time (30 seconds in OS X Yosemite or earlier). 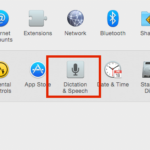 When you use Dictation, you choose to have either your Mac or Apple’s servers perform the speech recognition for you. If you use Enhanced Dictation, your Mac converts what you say into text without sending your dictated speech to Apple. Notes: If Dictation does not recognize what you are saying, it may be that you are speaking too loudly or quietly. Also be sure to and avoid any background noise. Also, keep in mind that Regular Dictation only works when you have an active internet connection. Tick (check) the box for Enhanced Dictation. See if that downloads your language again. This fix worked for the folks when the other troubleshooting tips did not. Hopefully, this last one works for you too! Webroot antivirus interference is due the secure keyboard feature. Dsabling it fixed the problem without closing the software. But it should be restarted when using the internet. Diasbling the webroot antivirus program worked for me. Thank you! I can get the the dictation to work without the enhanced Dictation however it won’t downlowd any languages and I get the message “Dication Languages aren’t available to download at this time. Try again later. I’ve tried to follow your advice below however in my speech folder I don’t have a “Recognizer Folder”.Any advice for this? I don’t mind using without the enhanced dictation the only problem is I can’t seem to find the command to start a new line and when I press enter it breaks the dictation. Not sure if anyone has any ideas on this. I cannot imagine why, but this last suggestion worked. My administrator account did not have parental controls enabled. So I enabled parental controls, rebooted, and then disabled parental controls and converted it back to an administrator account. The whole thing took at least 30 minutes with all the password typing and rebooting involved. Thanks for the tip. I can’t imagine how anyone discovered this solution. Cheers. Sometimes an app interferes with Dictation, so one test is to close all open apps and then try dictation again. If it works, then it’s an app that’s getting in the way. You’ll need to open each app and test ifmDictation works with it—do this one by one. You may just discover it’s a single app that’s causing all the troubles. Also, I’m sure it’s already been suggested but have you considered updating your Mac’s operating system? You might discover that a newer OS works more fluidly and consistently with Dictation. OS 10.8 was the first OS to Feature Dictation so there’s been a lot of improvements in these past years and macOS and OS X versions. Finally, some users report success by updating their DNS Servers to add the following DNS entries to 208.67.220.220 and 208.67.222.222. Worth a try! Thank you for your reply. I have communicated with Apple about it. On the other hand, I’ve also done a little further experimentation and found a better interim solution. The task I face is to transcribe many hours of interviews into text – different voices, different accents and levels of English. Text recognition software to automatically transcribe these into text is almost useless. It is quicker to type than to edit the drivel that results. So I have found the following solution. I use my IMac to work on, plug in the earphones to listen to the recording. I open Google Documents on my Macbook Air and speak each sentence I hear, carefully articulated and fairly slowly. I have Google Documents open also on my IMac, which allows me to see at once the text that it typed on the laptop. I can edit this as I go along as required. This is my best shot so far, but the actual text recognition is still rather slow, but a bit better than with Apple Enhanced Dictation. It also allows me to work with one mouse and keyboard rather than having to constantly switch between computers. I hope this system might be helpful to a few people and would love to hear of any improvements and developments. My Enhanced Dictation works fine from a technical point of view. However, it has definite shortcomings in recognising certain words and doesn’t seem to learn the words even after I have edited them by typing them in correctly. For example, it cannot distinguish between Took and Talk, but always writes Talk. Sometimes it enters pure drivel, as if it is trying to put words in your mouth. Apple does have a product feedback site but not a tab for Dictation. You best bet is to report this as a macOS issue, since it is the operating system that run Dictation. This feedback site is really the only user site that Apple reads. Worked on my MacBook Pro same OS. The other day I noticed mine stopped working. Nothing had been changed. Today I am on her iMac and hers is no longer working either!!! DID APPLE SHUT OFF USERS OF 10.8.5 BECAUSE THEY WANT US TO UPGRADE? Because that is what it seems like. Bad enough we have Adobe who won’t fix their security issues, now this? Apple has really gone downhill. I disabled Webroot virus protection after trying everything else on the list (because it was really unclear how to disable Webroot – all instructions were for PC!). That’s another 3 hours I’ll never get back! Had this problem and fixed it: i was running the free Avast virus blocker, and when i turned of it web filter, dictation started working. Switched to McAfee and now dictation works fine. Thanks so much for the tip..I am not sure why apple is having so many issues lately? They seem like care more about money than the product they are putting out. Sorry, I meant to write there is no com.apple.assistant.plist. The other file mentioned, is there. I looked up and down /Library/Preferences and there is no file com.apple.setupassistant.plist. Is there a way to download just this file? I cannot find the file using the steps above. I have OSx El Capitan. I went to “Go” and held down the Alt/Option key and a folder named “Library” popped up, but the file did not. What exactly do I do now? It worked for me too, with OSx El Capitan, on Mar 5, 2016. Huge Thanks. This worked perfectly. I just went to Finder’s/Go/and pressed and held ALT. Then I restarted the mac. I’ve got my Dictation! 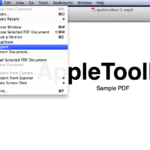 Press the finder icon. then in the tool bar press go. Thank you sooooooo much – and for explaining how to get to library. This must have come in on their latest update – grrrr…. I am so counting on my dictation to get a book done! thanks again! Worked for me perfectly after a reboot and DNS switches did not work. Woohoo! 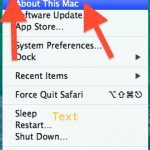 This worked for me on OSX 10.9. It’s like a brand new feature now, since it wasn’t working for so long!